How to make Marshmallow fluff from Marshmallows. A winning tutorial! How to mix green paint. It's really quite adorable. Learn my secrets: how to draw adorable pastries! Tips on proper storage for the baking ingredients in your pantry. Bookmark this one for reference! Cocktail weenies. 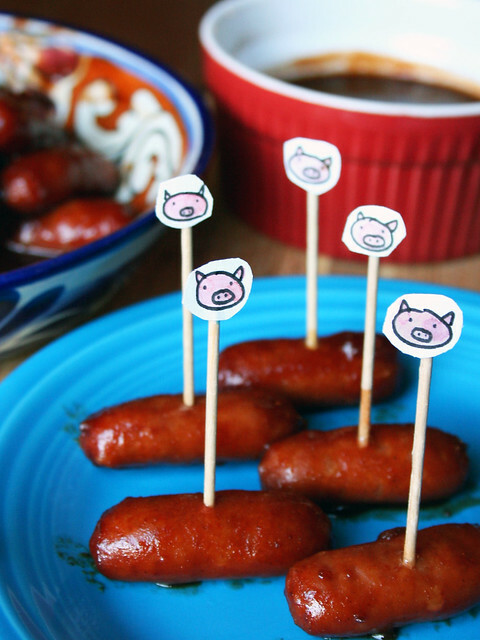 Let me tell you how to make the best-ever ones, with an optional pig in a blanket upgrade.